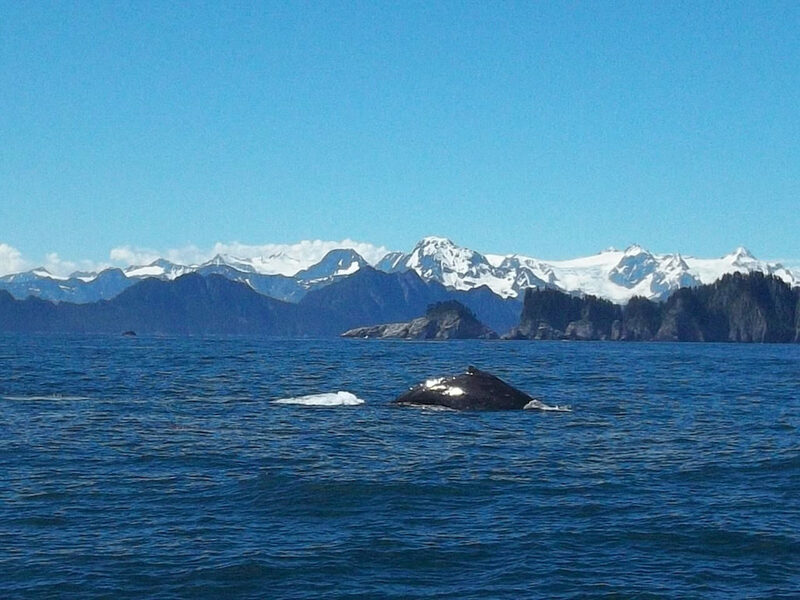 Our first cruise was a spring whale watching cruise package with Major Marine Tours, and we’ve taken three different cruise itineraries with them since then. 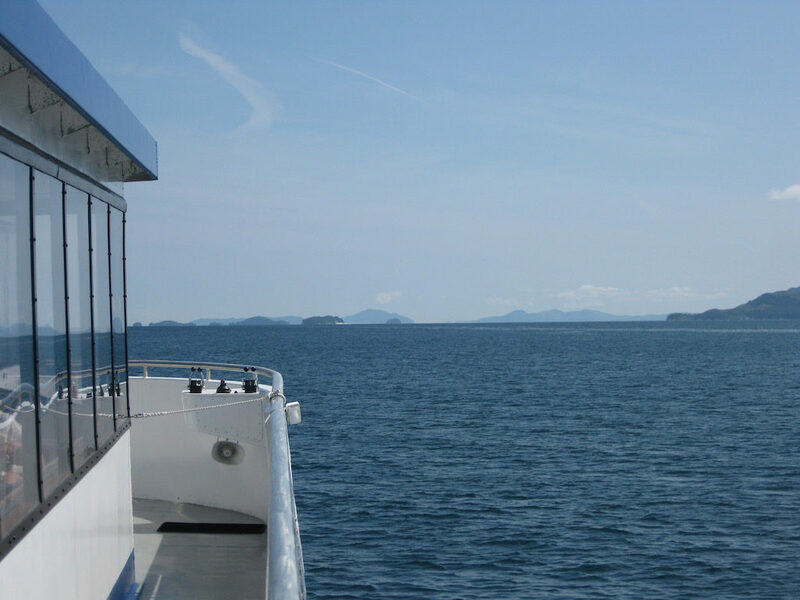 There are other companies offering cruises out into the same waters, to see the same sights, but for no particular reason, we’ve gone with Major Marine tours every time and have been quite happy. 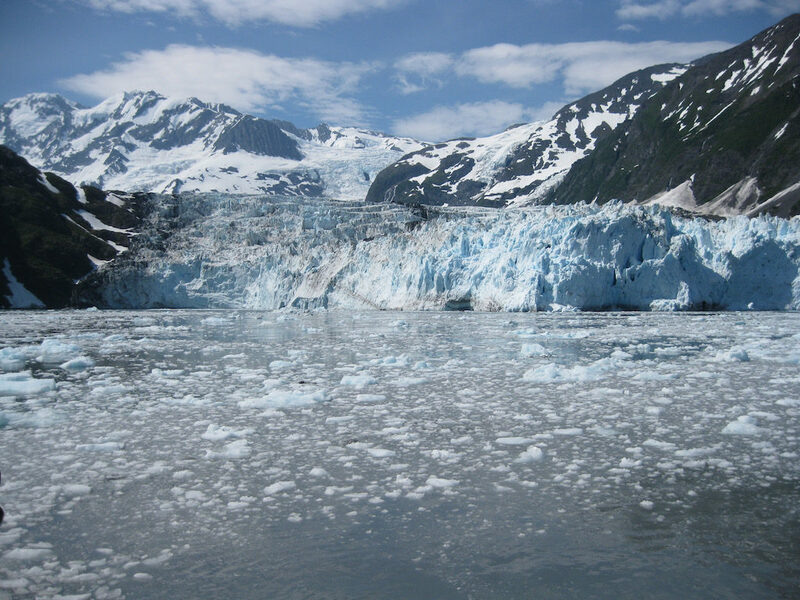 In June 2013, David’s parents came to visit from Kentucky and rode the Alaska Railroad from Anchorage to Whittier where we took Prince William Sound Surprise Glacier Cruise. This Surf and Turf package is a really fun combination. 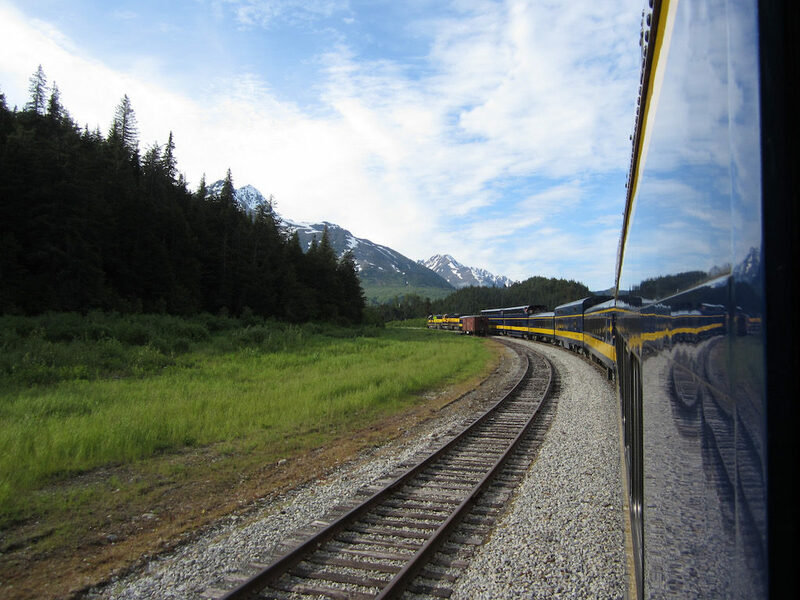 The Alaska Railroad is a fabulous experience and we’ve enjoyed every trip we’ve taken that way. The Alaska Railroad employs Alaska high school students to serve as tour guides for their various routes and this is a great little video clip to hear a couple of them talk about that work. And another clip here to give a bit of the flavor of riding the rails. 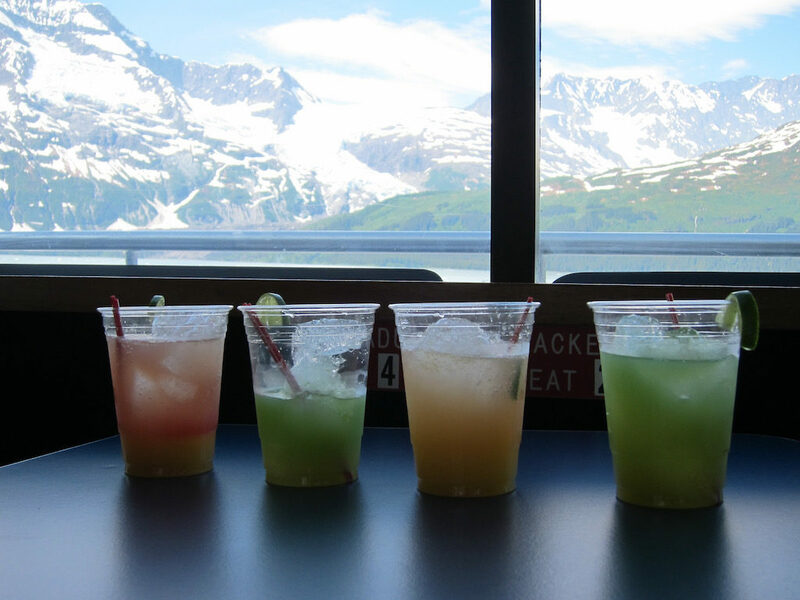 David’s family came last July and we that time we drove down to Whittier and took the Blackstone Bay Glacier Tour. It takes about an hour and a half to drive from Anchorage to Whittier. 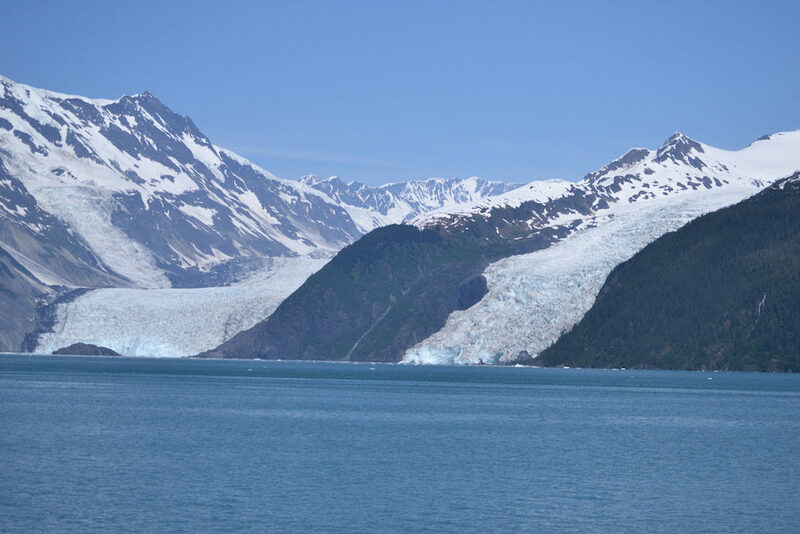 It’s a beautiful drive south, along the Turnagain Arm and then the road cuts through a mountain, east toward Prince William Sound. The tricky part is the Anton Anderson Memorial Tunnel aka: The Whittier Tunnel. This 2.5 mile long (toll) tunnel is the longest in North America and the only way to get into Whittier by car (or train). It is also only one lane wide. So….there’s some turn taking to do. If you’re driving and have a cruise to catch, it’s critical that you check the tunnel schedule before you go! A little more info on all that here. The Anchorage to Whittier 2.5 hour train ride goes through the tunnel too, but traveling this way you don’t have to figure out the details. Once through the tunnel, you’ll find Whittier to be a very small coastal town. By small, I mean less than 250 people live there. But what stunning geography! 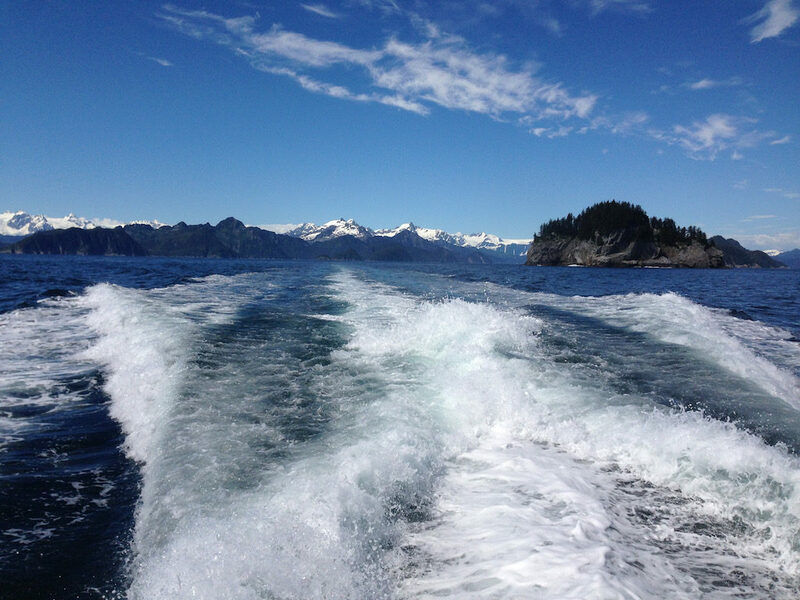 Ocean, mountains, glaciers….this is what you’ve come to see and the Major Marine Tours are a very accessible way to do so. The Park Service Ranger on board provides lots of information at various points along the way and then wanders the cabin for easy access Q&A. The boat captain navigates right up close to the hanging glacier and idles awhile, and if you’re lucky you’ll get to hear/see a tremendous slab of ice crack and fall to the cold cold cold water below. Drinks with glacier ice the crew fished out of the Sound while we were waiting and watching for ice to fall from the calving glacier. 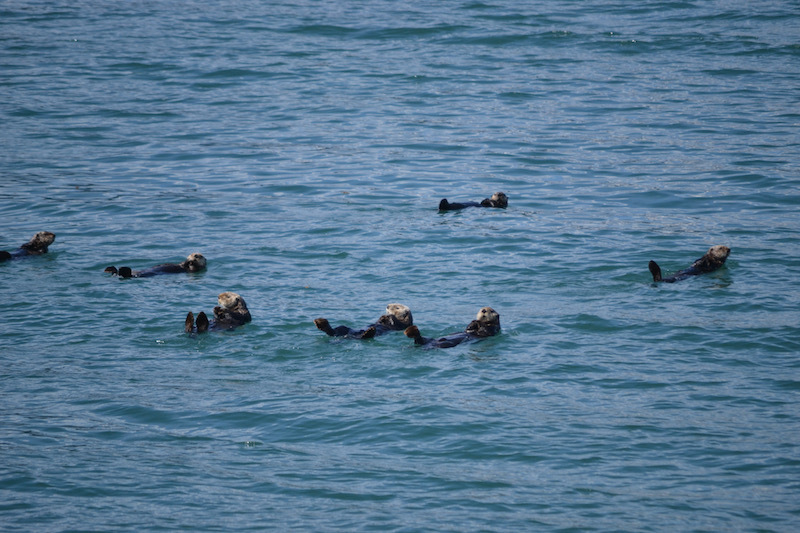 Otters are pretty much my favorite. In July 2014, my boys and I did a Surf and Turf package with my parents and rode the railroad to Seward where we took the 5 hour Kenai Fjords Wildlife Cruise. That was such an incredible day of whale watching. Even the crew could not stop talking about the magic show put on by the whales that day. It was also the day I deleted most of my pictures.